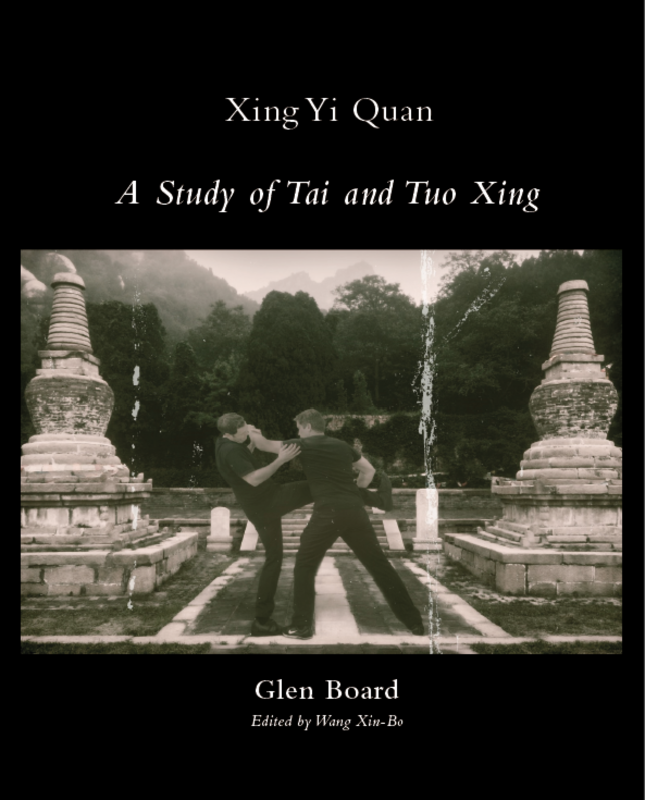 I present to you a new book for your Amazon wish list: A Study of Tai and Tuo Xing by Glen Board. Tai and Tuo (Asian paradise flycatcher and Chinese crocodile) are two of Xingyi’s 12 animals. They’re considered advanced in the sense that the methods they use are difficult and subtle. The book is a thorough investigation of the fighting strategies and methods of both animals. 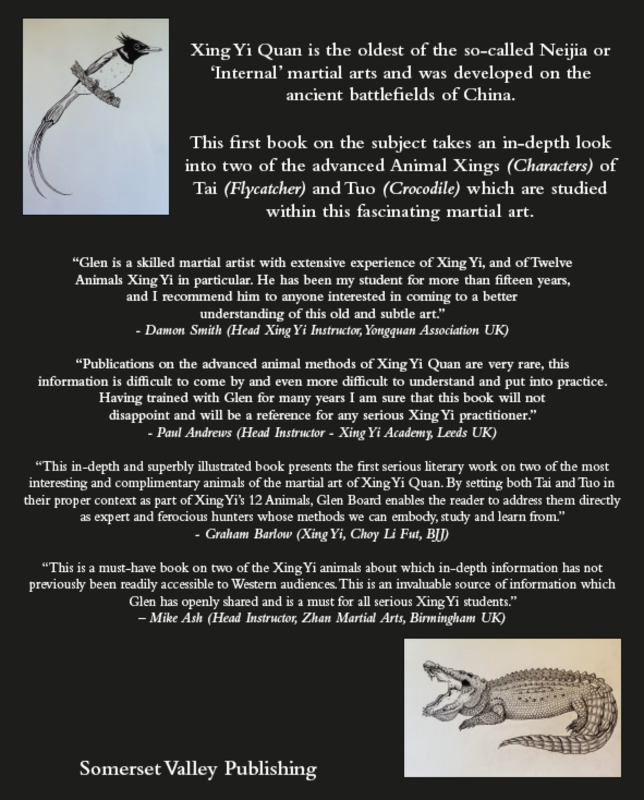 "The book covers the history, fighting methods and auxiliary concepts/methods which are rarely presented in books on Xing Yi. The book contains over 500 b/w photo's showing both the applications and potential linking sequences for both Tai and Tuo Xing." I’ve had access to a pre-final draft and I think it’s shaping up to be an excellent book. The illustrations are great, there’s plenty of historical background on Xingyi as well as technical discussion. The book also features good quality photographs showing martial applications and linking sequences for both animals. All in all, it looks great. Look out for it soon. It should be available to pre-order in the next few days on Amazon. Last edited by GrahamB on Thu Dec 20, 2018 9:56 am, edited 1 time in total. Last edited by wayne hansen on Thu Dec 20, 2018 11:16 am, edited 2 times in total. You demand a lot of things don't you Wayne! Buy the book and your questions will be answered. Seriously it would take the book's contents to answer those correctly. They're both advanced, so it's hard to summarise. I short - Tai - the bird uses its long tail to confuse predators, so it's often not where you think it's going to be. Bird-like in it's soaring nature and quick changes of angle. Tuo, like other crocs is an ambush predator, so stillness into sudden explosiveness, strong side to side action (the croc barrel roll). Big on opening and closing (jaws). I don't think there's any of it on YouTube. You'll see Tai and Tuo done by other people if you search for it of course. 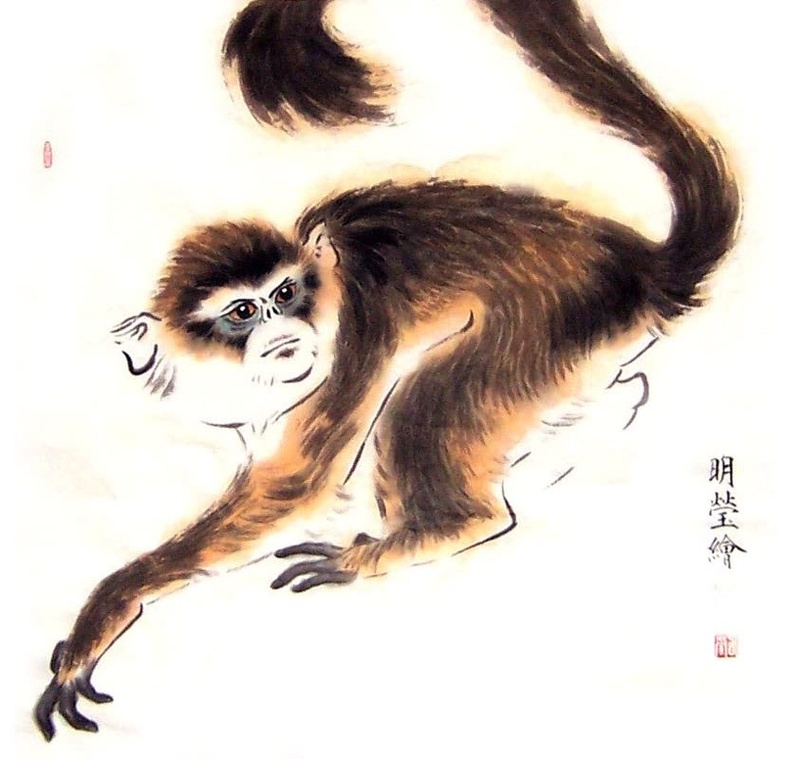 Our school of Hsing-I has been handed down to us through three different lines, for example: Ji Long Feng taught Cao Ji Wu, who taught Dai Long Bang, who taught Li Neng Ran, who taught Guo Yun Shen, who taught Liu Chi Lan, who taught Li Cun Yi, who taught Hao En Guang, who taught Luo Da Cheng, who taught Zhu Guang, who taught Damon Smith (our senior Hsing-I instructor). Damon Smith teaches Glen Board. Just one thing - after I don't know how many years, can you at least get my name right? There's no e. It's "Graham". It's even in my user name. That's not even a spelling of Graham. It's "Graeme" if you spell it with an e.
Last edited by GrahamB on Thu Dec 20, 2018 1:44 pm, edited 2 times in total. I would venture to say he meant "promoting," not "emoting." That dang predictive text again, Wayne. Stop letting the machine do your writing. Luo Dacheng is also Luo Xingwu's son - another famous disciple of Luo Xingwu is Liu Jingru, whose xingyi has a lot of animal variations as well. I wonder if you have seen similarities with his line? edededed wrote: Luo Dacheng is also Luo Xingwu's son - another famous disciple of Luo Xingwu is Liu Jingru, whose xingyi has a lot of animal variations as well. I wonder if you have seen similarities with his line? Yes, I can see similarities between the Swallow link at around 35 minutes and the Swallow link we practice. I believe that Swallow was Master Zhu's favourite animal - he had thighs like tree trunks apparently. Last edited by GrahamB on Thu Dec 20, 2018 11:33 pm, edited 1 time in total. Cool - that swallow set does have a few movements in there that are rare to see. By the way, tuo and tai are the 2 animals that were "added" to the 10 animals of xinyiliuhe - so they are interesting in that sense, too. Last edited by edededed on Sat Dec 22, 2018 7:32 pm, edited 1 time in total. Yes, they were later additions. My teacher maintains that they were added by Guo Yun Shen of beng quan fame. I suspect he's worked this out by researching which lineages they appear in most. Or it might have been an oral transmission from one of his teachers. I don't know. Different animals appeal to different types of people - I've always liked Tai but Monkey and Bear are my personal favs. Never really been a fan of Croc myself. Last edited by GrahamB on Sun Dec 23, 2018 12:09 am, edited 4 times in total.